Door Controls is a family owned business engaged in designing and producing security products for the commercial hardware industry. The main goal is to manufacture high quality products, which will meet the highest standards of security. Since last forty years, the company has developed wide range of innovative products, which has earned an important position in the industry. The vision of Ralph D. Maynard Jr in the year 1971 has turned out into a solid organization with top-notch products and a global presence. Door Controls products are available and are popular worldwide. In today’s volatile world, no one prefers compromised security due to lower budgets or inferior products. Exactly at this point of consideration, Door Controls product hit the bull’s eye. These products have excellent quality and are available in the best price band in the market. These products include high-security exit devices, power supplies and electromagnetic locks, coordinators, flush bolts and hundreds of other door hardware accessories like pulls, stops, and holders. Each of these products is designed and crafted in state of the art manufacturing facility with the best of engineering. 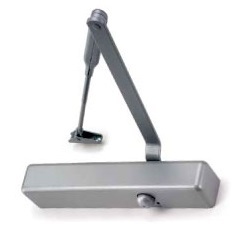 You can count on Door Controls product for a reliable and durable performance. Always stay safe with Door Controls products and enjoy the freedom.